Are you one of those women who have tried “everything in the book”, every diet, counted every calorie, only to walk away, perhaps years later, in the same, or worse, condition? If so, this blog post is for you, friend. I run into women just like you all the time. Women, who are smart, savvy, educated, aware, and above all else, desiring to get their families, and their own health, in order. Falling victim to all the noise out there that promises big results in small amounts of time is incredibly common. And why not? These diets are so tantalizing. It’s just too hard to pass up and the marketing and commercials surrounding it makes it sound like the perfect fit for you! At this point I’m tempted to tell you not to feel alone, but women talk to women, so chances are that you know full well that your girlfriends have almost all been down the same path. How many times have you had a friend try a diet, lose weight, and then jump right in behind her? And a more serious question, are you both better off for it and doing great? Maybe. If so, huge kudos! If not, you may have both become a victim of another extreme diet. Truth be told, sometimes they deliver. Many of you have probably found this to be true. But are they sustainable? Are you able to do them the rest of your life? Do they keep you from feeling deprived? And are you still following it, feeling fabulous, and getting or maintaining amazing results from it? You hear about a diet that helps you drop X amount of pounds in a month. You start that diet and find yourself consumed with counting every morsel that goes in your mouth. The food doesn’t satisfy or even taste that good. You drop some pounds but don’t feel all that great. You “cheat” and feel like a complete failure. You become consumed with the scale and the numbers dictating your self worth. You leave that diet feeling perhaps a little worse than before you started. Soon you find yourself in the middle of another diet offering similar results, with similar restrictions and it all begins again. Does that sound familiar at all? The reason that isn’t working is because most extreme diets out there are focused on weight and the scale, and they fail to give you insight into the rest of what provides lasting results: sleep, community, stress, mood, energy, moderate movement, digestion, and a focus on real, whole food. I want to pose a question to you I often ask my clients. If you woke up tomorrow with the body you always dreamed of having…well let’s just think about that a minute. What would that be like to get out of bed, look in the mirror, and see a completely new body, THE body. That one you’ve been after all these years! In all your glee and excitement you run into the bathroom and jump on the scale in anticipation of seeing that perfect number you’ve been chasing, but what you see instead, is the same number you went to bed with the night before. Ok, let’s all take a big breathe…that was deep. But necessary, because programs that have you focus on weight are doing the same thing to your mind every time you step on the scale. 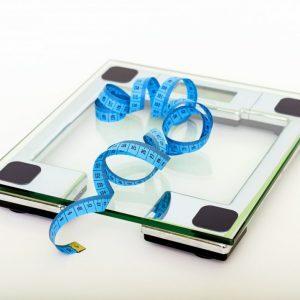 The scale does NOT tell the whole story, it does NOT dictate your worth, it does NOT tell you about the lean muscle you may be holding on to, or better yet, gaining, if you are strength training. It is NOT factoring in your cycle or your hormones in general. It is a number. That’s all. So if you aren’t focused on the numbers on a scale, how on earth can you tell if you’re moving in the right direction? Here are my recommendations. Measure at the waist (smallest part). Measure at the hips (largest part). Take a full body picture in form-fitting clothing every 2 weeks. If the scale can ever have a healthy place in your life, you can keep it. But I’d bet my left ovary that at this point in your life, giving it to a friend for safe-keeping until you can get your health priorities in a better place would be your better bet. A simple to follow plan that focus' on whole foods. Fitness that doesn't run you into the ground. A program that cares about you as the total package and is focused on all the things that we mentioned above: mood, sleep, digestion, etc. Something that offers community so you don't feel alone on this journey. Something that provides resources and ongoing health education. Something geared toward your busy schedule so you are set up for success instead of something that takes hours of work and research only to leave you feeling more exhausted and like you've failed before you've really begun. For today, tally up how many different “diets, programs, or systems” you have followed that didn’t work for you in the comments below and let me know why you think they didn’t work for you. There are certainly lots of programs out there, and I know with some diligent research, you can find the perfect fit for you. We take pride in going over and above in our efforts to fill these very needs, so take a look and see if we may be that fit you’ve been looking for. Click HERE to learn more! Oh my goodness! I’m so glad you sent this in an email. I’ve tried every diet out there and just as you said, they work briefly but they’re so un-sustainable and unrealistic and even dangerous to your health. Thank you from my heart for walking this journey with me. So proud of you and happy for your success, Sandy! You have become an inspiration to so many, not only because you have rocked this lifestyle, but because you have been transparent about your struggles, too! Thank you for sharing and being so vulnerable!